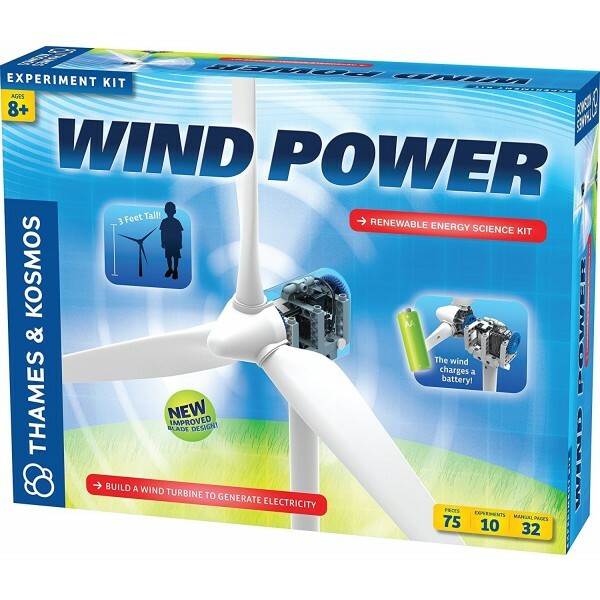 You can learn all about wind power with this renewable energy kit from Thames and Kosmos! 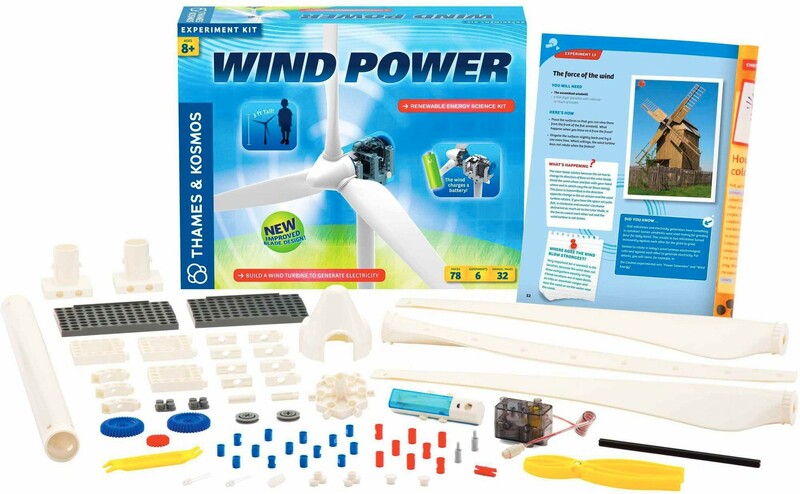 With this kit, kids use two styles of wind turbine blades and a gearbox with three different gear ratios to learn how windmills and wind turbines generate power -- and how to do it with maximum efficiency -- by lighting up an LED bulb or charging rechargeable batteries. 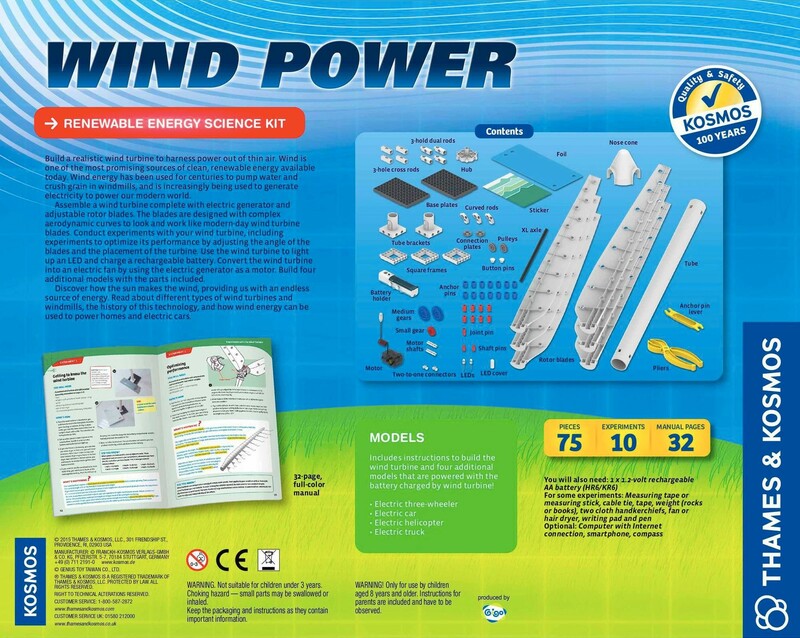 Once she's created the most efficient setup, she can build several models, including a car, 3-wheeler, and helicopter, that she can power with her turbine, teaching her how wind power can come into play in the real world. 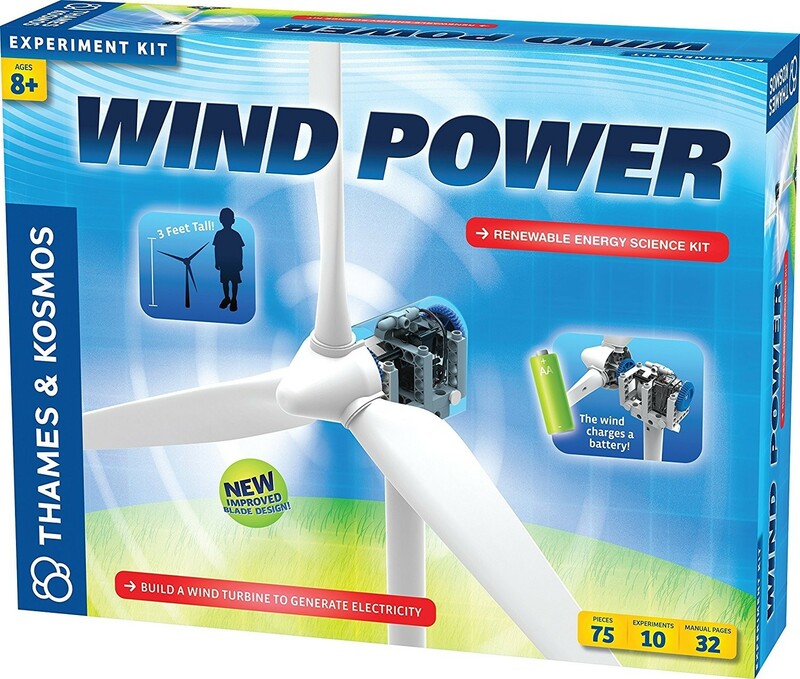 This set comes with 75 building pieces and a 32-page instruction manual that guides you through 10 different experiments.